April 23, 2013 0 comments on "Bath Fun: How to Make Soap Crayons"
On rainy days it’s sometimes hard to find things to do in the house to keep the kids busy. Surprise your kids with this fun bathtub paint. They will have no problem taking a bath, any time of day! I had a hard time getting my kids out of the tub. Soap crayons are a fun bathtime treat for kids. You can make them in an hour or two, and it will provide hours of bathtime fun for your kids. All you need are some bars of soap, food coloring, and a mold. 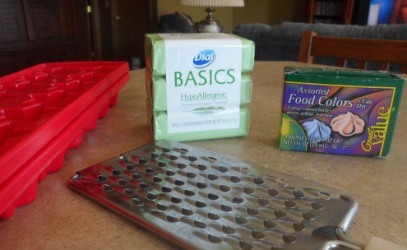 I used three bars of soap, so I used an old cheese grater to grate a bar of soap into three different containers. 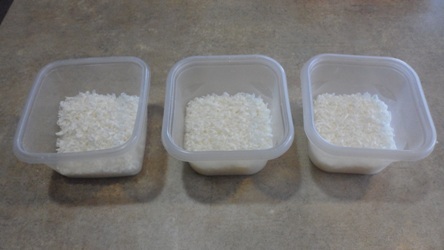 After you have grated the soap, into each bowl add approximately 2 tbsp. water and 20 drops of food coloring. Use your hands to blend the soap shavings, water, and food coloring together, adding more water if necessary. 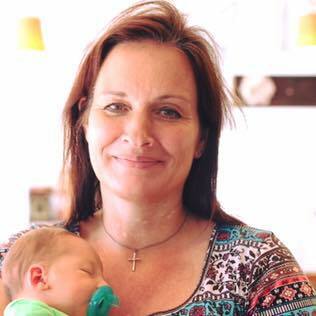 The mixture should be the consistency of playdough. Make sure to do this on the counter or over the sink. You will get some food coloring on your hands, but it will wash off. Next remove the soap from the bowl and form into whatever shape you want. 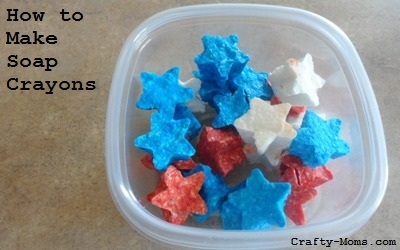 I used some star shaped ice cube trays I found at Walmart close to the Fourth of July. You can also use regular ice cube trays or just use your hands to shape them however you want. You can coat the trays with a light coating of cooking spray to keep the soap from sticking to the trays. Let the molds set for a day or two for the soaps to harden. I stored them in a ziploc plastic container with a lid to keep in the bathroom near the bathtub. Your kids will love these soap crayons. They are really fun to make and fun to play with. The food coloring shouldn’t harm your bathtub, but if you have tiled walls, make sure to have your kids keep the “crayons” in the bathtub to avoid discoloring any grout. Copyright 2012, Christian-Parent.com. This article may not be reprinted. Follow my kid stuff board on Pinterest.